Tiny yes, but not short on details. 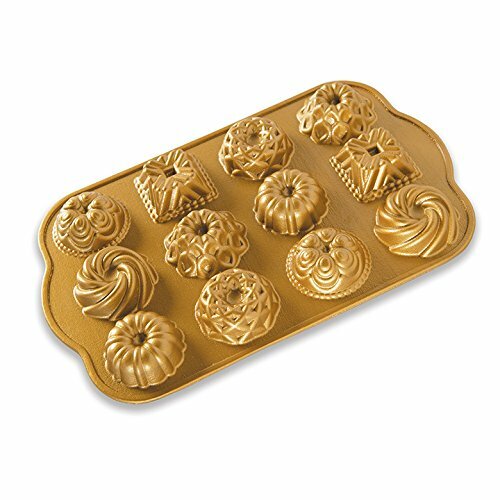 New plaque includes six Bundt shapes: Square, Jubilee, Chiffon, Crown, Heritage and Original. For cakes, brownies, candy, gelatins, and more. View More In Bundt Pans.